From event graphics, to online design, to product packaging, to marketing materials, we know how to reach kids, parents, and the young at heart. Camp Flex is one of a kind. It's one of the few camps in the US that is 100% dedicated to film-making for kids 11-17. It's taught by film-making professions who work on everything from independent films to Hollywood features. You might expect this in LA or NYC, but ATL is becoming such a large movie production town it started here. Who can make the sun shine? Sprinkle it with dew. The Candy Man, of course. 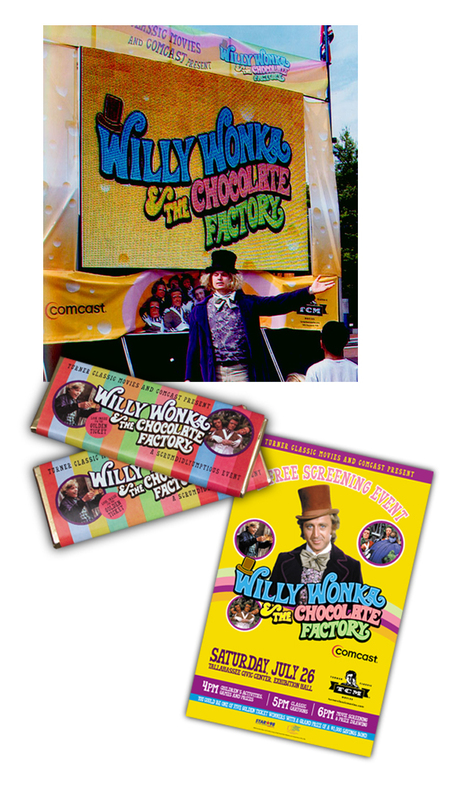 As part of Turner Classic Movies commitment to family entertainment they produced summertime touring outdoor screenings of classic movies like the Wizard of Oz and Willy Wonka and the Chocolate Factory. We designed the look of the events, marketing materials, and advertising campaigns for each one. Today learning needs to start early. Over 80% of a child's brian is developed by age three. Quality child care is essential for making sure children get what they need for entering kindergarten. 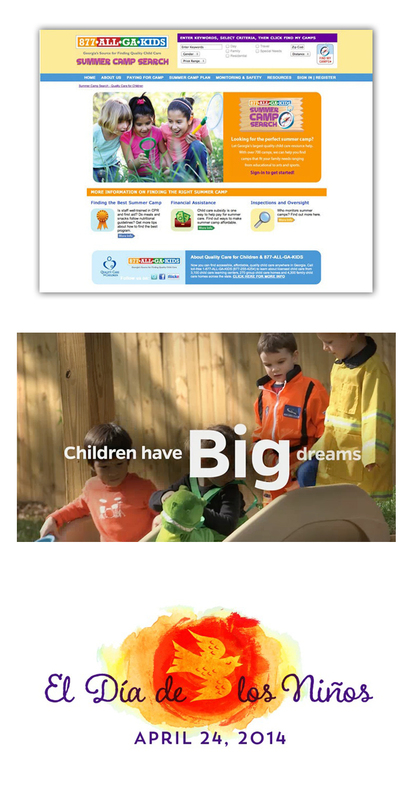 Quality Care for Children connects parents to Georgia Quality-Rated child care through it's website and app. 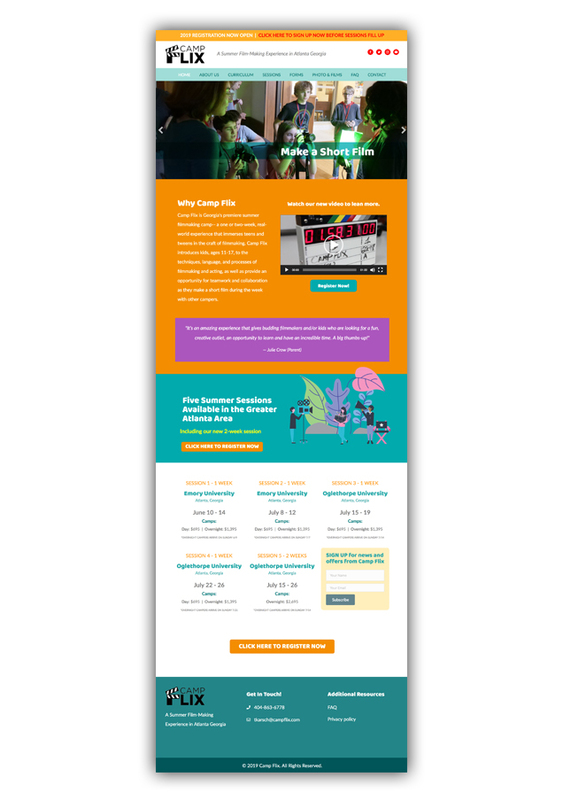 We've worked with QCC for over seven years helping them develop their branding, create materials for fundraising events, designed and developed their website, and participated in the design process of their app. 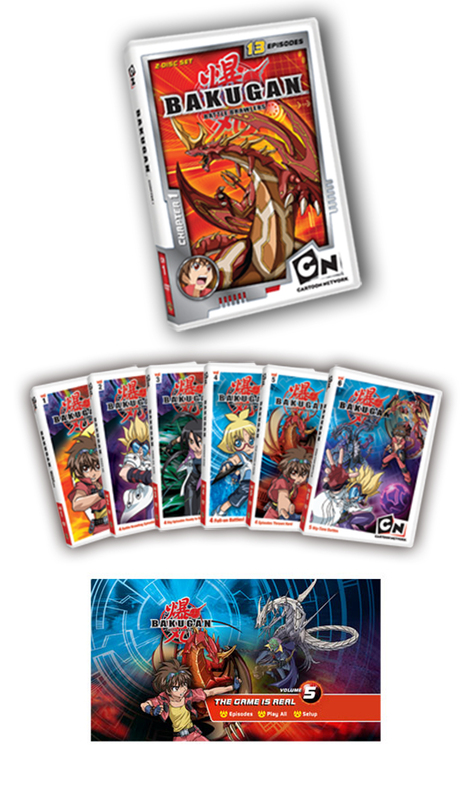 Bakugan was a huge hit for Cartoon Network. We designed all of the packaging and onscreen navigation for all four season's DVD releases. 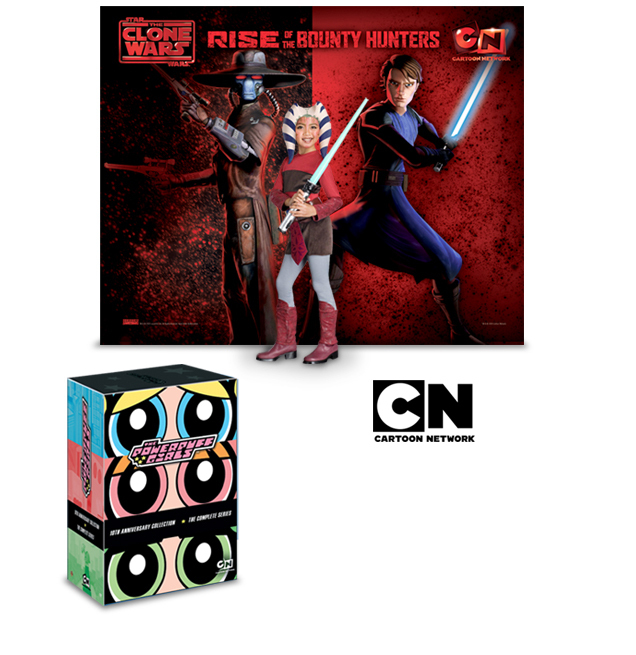 To reward the fandom and celebrate the success of Cartoon Network's hit show "Adventure Time" (plus sell some DVDs), Cartoon Network created a limited-edition DVD that included a fleece hat like what the show's protagonist wears. We worked on developing and producing the the packaging as well as the DVD title screens. 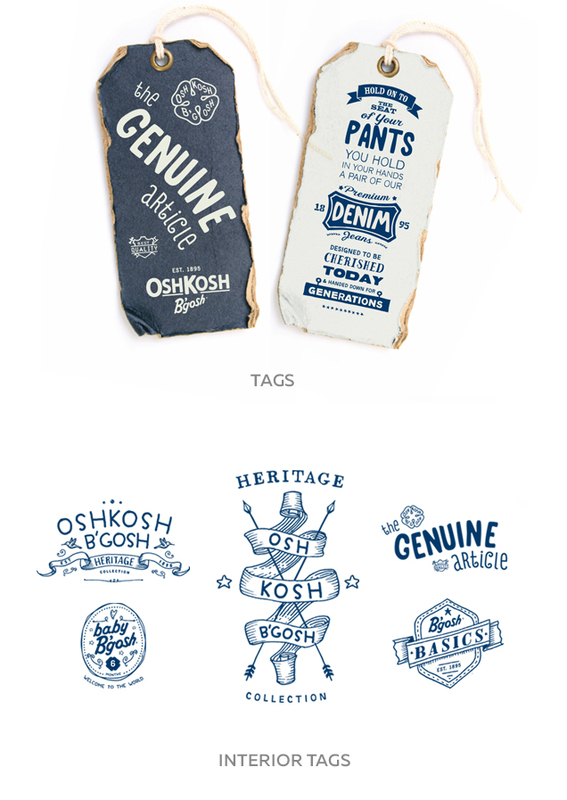 When OshKosh B'gosh wanted us to design their new product labeling for their Heritage Collection, they came to the right place. We know how to capture the aesthetic of a time period yet still maintain a contemporary vibe. We immersed ourself in the history of the brand to bring their core values and unique heritage to a modern fashionable visual solution. 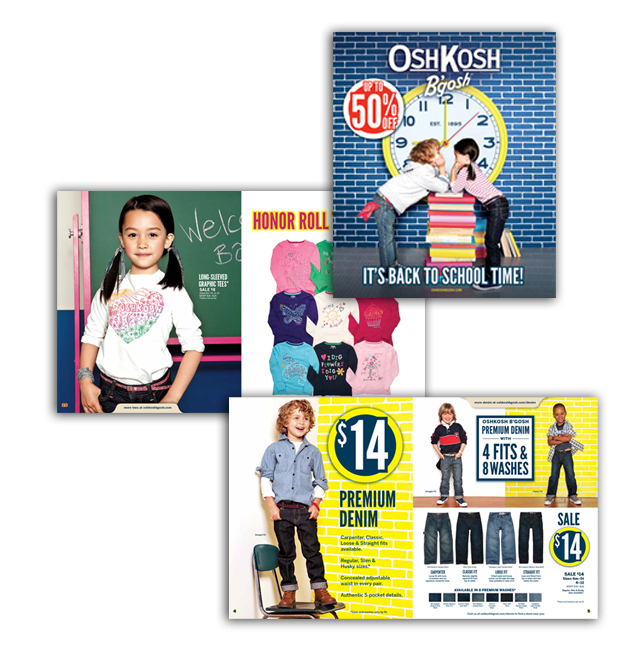 After developing OshKosh B'gosh's rebranding, we put the new look to the test in their seasonal direct mail catalogs.